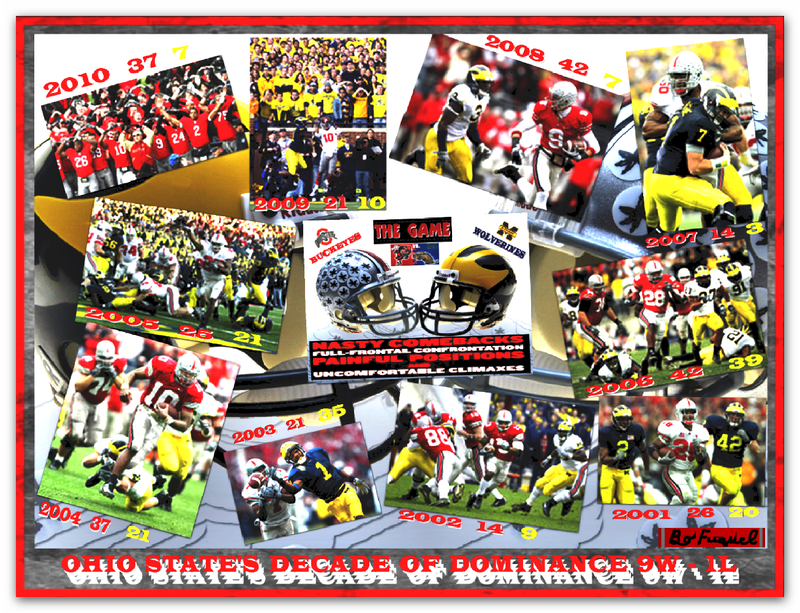 OHIO STATE'S DECADE OF DOMINANCE. 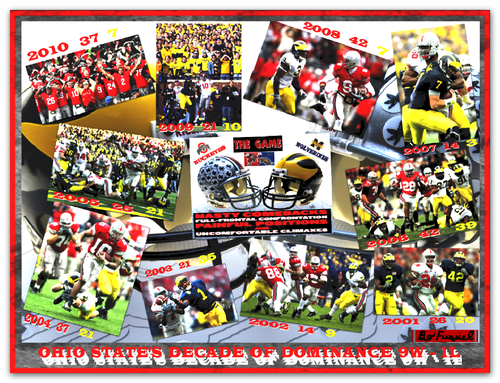 foto OF OSU 10 YEARS OF DOMINANCE OVER TSUN IN FOOTBALL. HD Wallpaper and background images in the ohio state footbal club tagged: ohio state buckeyes football. This ohio state footbal photo contains anime, komik, manga, kartun, kulkas listrik, kulkas, and listrik kulkas. There might also be koran, kertas, majalah, tabloid, kain, and rag.